The US THAAD anti-ballistic missile system deployed in South Korea is now operational, US media reported on Monday. WASHINGTON (Sputnik) — The US Terminal High Altitude Area Defense (THAAD) anti-ballistic missile system deployed in South Korea is now operational, US media reported on Monday. US defense officials said the THAAD system is now operational and has "initial intercept capability," NBC News reported. 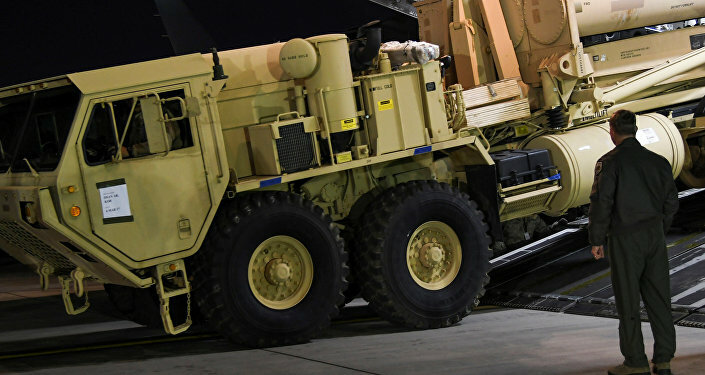 The agreement on deploying the THAAD system was reached between the United States and South Korea in July 2016, and the first components of the system started to arrive in the country in early March. The agreement implies that Seoul provides land for the system while Washington pays for its installation and maintenance. According to media reports, citing the South Korean Ministry of Defense, Seoul is expecting to fully station the system as early as June 2017.